Members of the Concert Band include every freshman member of the Newport Band. All incoming 8th graders (except for percussionists) register for this class. The ensemble focuses on providing quality concert literature with the purpose of introducing students to music making at the high school level. Rehearsal skills, listening, communication, and instrumental skills are emphasized. Music literacy and fundamentals are taught and assessed to establish a readiness for making excellent music in years to come. 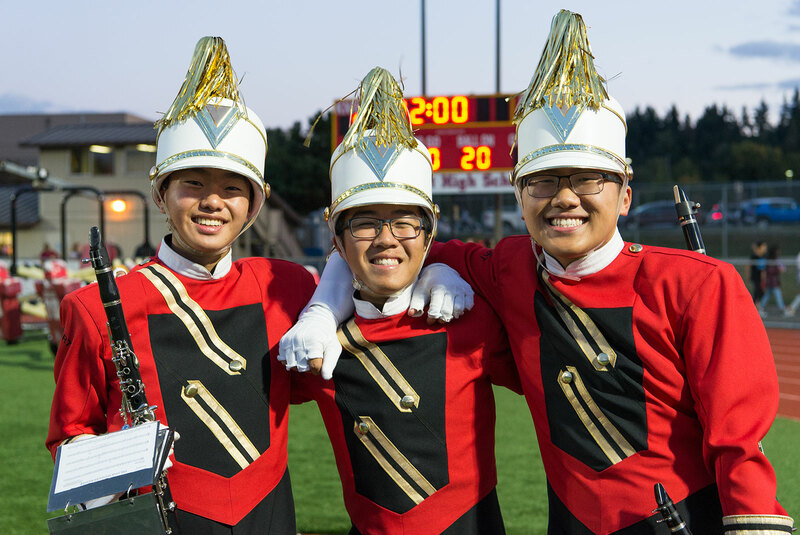 Over the course of the school year, students perform in several home concerts while also fully participating in the athletic bands at Newport. Additionally, our Newport Band Parent Association (NBPA) provides professional, specific insight on each instrument. Members of the ensemble are encouraged to participate in honor groups, including All-State/All-NW, Solo & Ensemble contest, and other invitational/auditioned honor bands and orchestras. Students are expected to apply themselves in rehearsals and prepare their parts diligently for concerts. Students successfully completing this class are prepared to continue on in the band program at Newport. They audition at the end of the school year, and then each is placed in either Wind Ensemble or Symphonic Band. The Wind Ensemble is the premiere concert band of the Newport Band Program. The ensemble is designed to provide members with the opportunity to rehearse quality, advanced high school/college level repertoire while also demanding and fostering excellent musicianship and ensembleship from each student. The Wind Ensemble is comprised of sophomores, juniors, and seniors who have auditioned and been placed in this group towards the end of the previous school year. Over the course of the school year, students perform in several home concerts while also fully participating in the athletic bands at Newport. In addition, the group is afforded more opportunities to perform in quality band festivals and concerts. Additionally, our Newport Band Parent Association (NBPA) provides professional, specific insight on each instrument. Members of the ensemble are encouraged to participate in honor groups including All-State/All-NW, Solo & Ensemble contest and other invitational/auditioned honor bands and orchestras. Students enrolled in Wind Ensemble can also audition into the Newport Philharmonic Orchestra and rehearse and perform with that group. Students are expected to prepare and rehearse their music with the utmost attention to detail. Students work towards applying their skills in tone, intonation, style and technique and turning these into effective and meaningful expression. Students successfully completing the four year sequence are knowledgeable music listeners; able to enjoy music as lay participants throughout life; prepared to study music at an advanced level. The Symphonic Band is the middle tier of the Newport Band Program. The Symphonic Band is comprised of sophomores, juniors, and seniors who have completed one year of high school band (Concert Band). 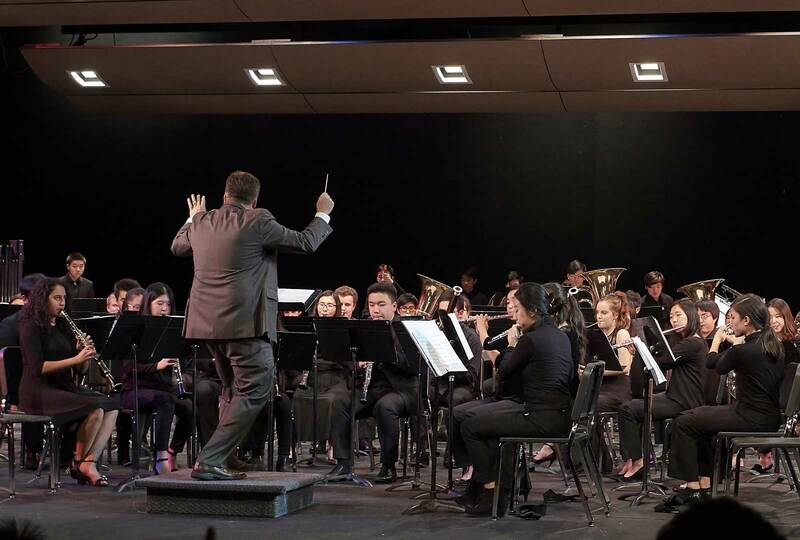 The ensemble focuses on providing quality high school literature with the purpose of improving musicianship, music literacy, and instrumental skills in order to students towards mastery. 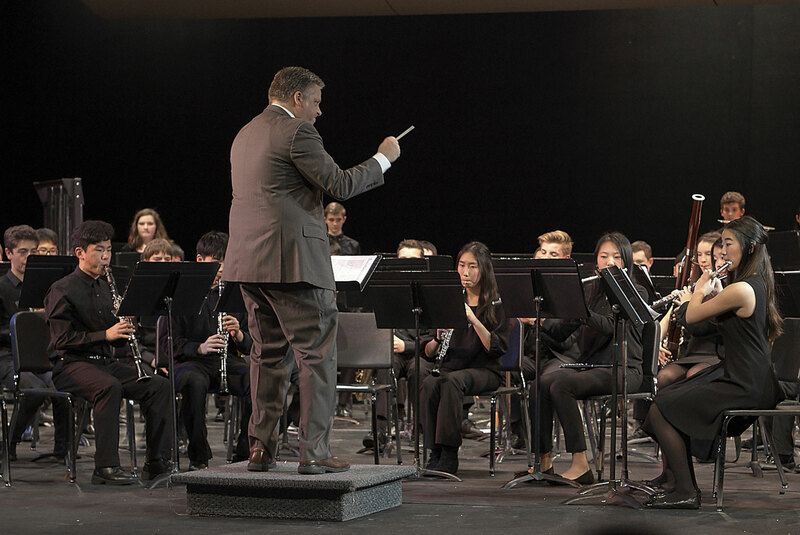 Over the course of the school year, students perform in several home concerts, while also fully participating in the athletic bands at Newport. In addition, the group may be afforded opportunities to perform in quality band festivals and concerts. Additionally, our Newport Band Parent Association (NBPA) provides professional, specific insight on each instrument. Members of the ensemble are encouraged to participate in honor groups including All-State/All-NW, Solo & Ensemble contest and other invitational/auditioned honor bands and orchestras. Students are expected to apply themselves in rehearsals and prepare their parts diligently for concerts. There is an emphasis on individual growth, music literacy, technical skills, and rehearsal/practice techniques to help advance students individual ability. Students successfully completing the four year sequence are knowledgeable music listeners; able to enjoy music as lay participants throughout life; prepared to study music at an advanced level. All percussionists (grades 9, 10, 11, and 12) at Newport High School enroll in our Percussion Ensemble. These students serve all Newport bands and have many performance opportunities throughout the year. 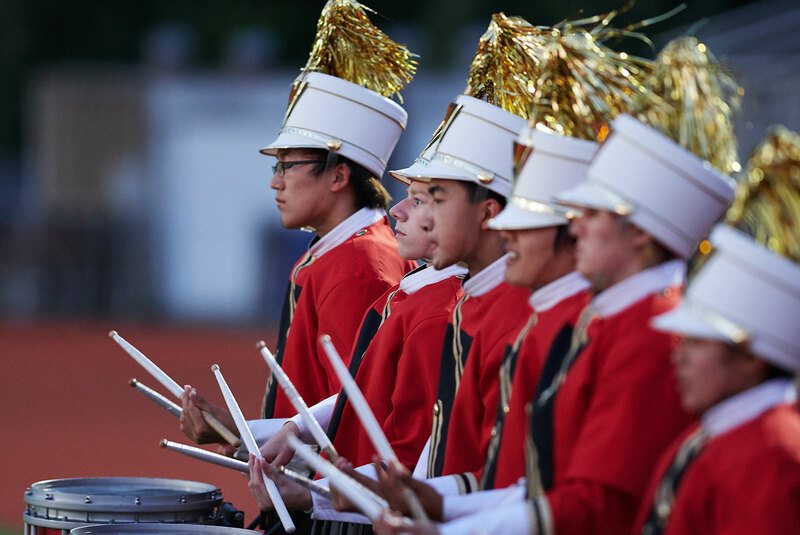 During marching band season (August through October), the Percussion class includes both drumline and sideline percussion. The marching line includes snare drum, bass drum and marching tenors. Sideline includes all keyboard instruments and a variety of battery percussion, cymbals, sound effects, synth, and anything else called upon by the composer of the show. Auditions for the marching line are held each spring (including incoming freshmen) for the following fall. Additional percussion staff members are hired each year by our Newport Band Parent Association (NBPA) to provide professional, specific insight on each instrument. During the concert season (November through June), percussionists prepare concert music alongside the Concert Band, Symphonic Band, and Wind Ensemble. In addition, members of the class are encouraged to participate in an ensemble or solo performance at the annual Eastshore Solo & Ensemble festival, usually held at the end of January. Newport also offers a Winter Drumline program, which rehearses weekly and is coached by our percussion staff. Winter Drumline performs in a variety of venues and is open to any member of our band program.